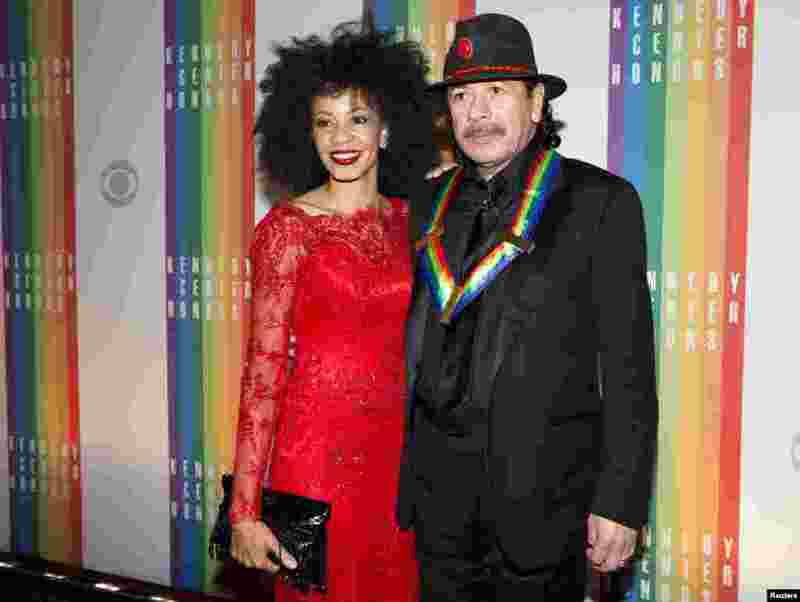 1 Kennedy Center Honoree Carlos Santana and his wife Cindy Blackman arrive for the Kennedy Center Honors in Washington, Dec. 8, 2013. 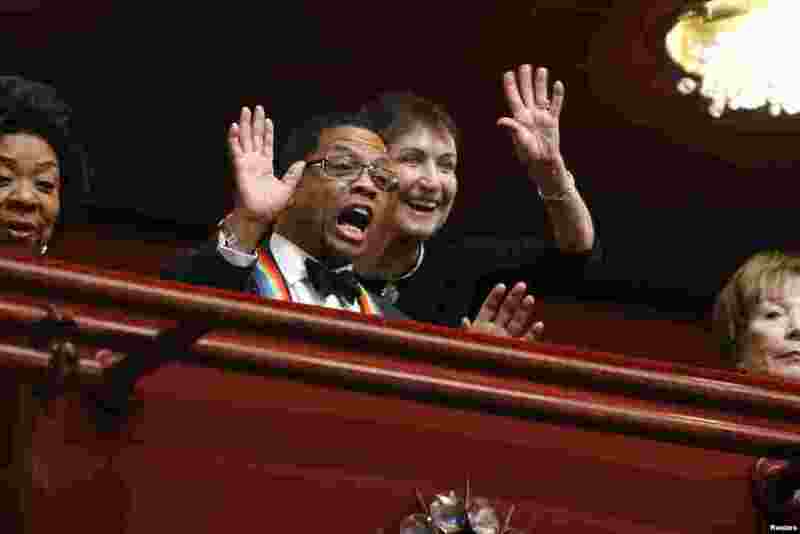 2 Herbie Hancock spots someone in the audience below at the start of the 2013 Kennedy Center Honors at the Kennedy Center in Washington, Dec. 8, 2013. 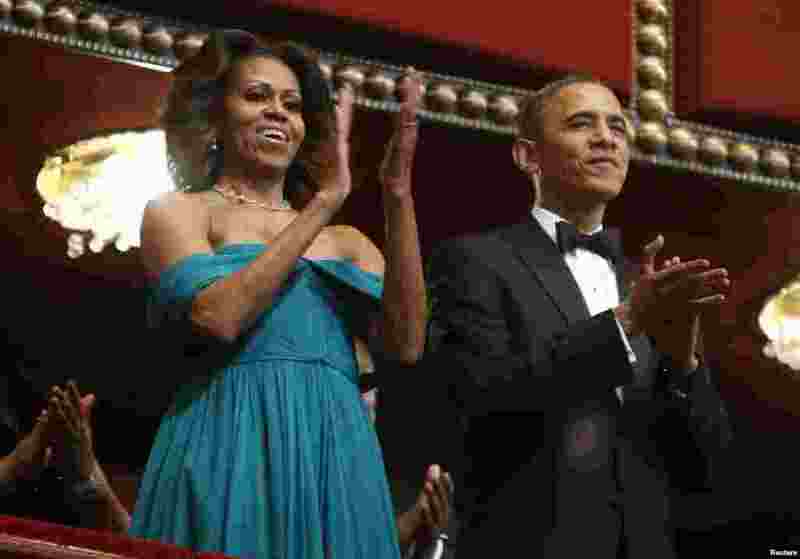 3 U.S. President Barack Obama and first lady Michelle Obama applaud the national anthem as they arrive in their box for the 2013 Kennedy Center Honors at the Kennedy Center in Washington, Dec. 8, 2013. 4 Kennedy Center Honoree Billy Joel and girlfriend Alexis Roderick arrive for the Kennedy Center Honors in Washington, Dec. 8, 2013.